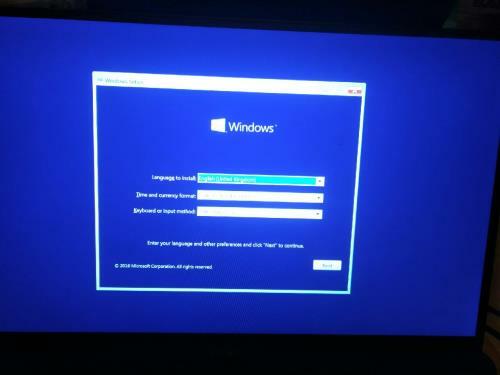 My laptop stopped during an update due to no power (the switch wasn't on) and corrupted Windows. I got my rescue USB and tried to boot it to restore my backup on RAID but it just brings up a Windows installation. I tried to use the USB for my Dell AllInOne but that just gets an error. Any clues what I can do or is it a reset? When you say "it just brings up a Windows installation", are you saying that your PC is booting into the Windows environment installed on its hard drive? That would mean that your system didn't boot from the flash drive. 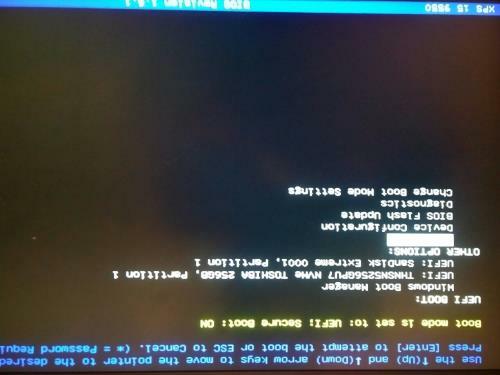 The easiest way to boot Dell systems from a USB device is to press F12 while the Dell logo is displayed at startup to access the one-time boot menu. On some systems you may as well just start tapping the F12 button repeatedly immediately after pressing the Power button because some systems boot so quickly now that the opportunity to trigger this might have passed by the time the display lights up. From there, choose to boot from your USB device, and make sure you choose the option under the "UEFI Options" section, NOT the Legacy section. If you don't see the latter, then don't worry about it. If that still doesn't work, it could indicate a problem with the files on the flash drive, or some flash drives for some reason don't work as boot devices even if they work as regular flash drives. If it's the former, if you have another system with Reflect installed, even the Free version, just go through the Rescue Media wizard there. If it's the latter, do you have another flash drive you can use when creating Rescue Media on another PC? Did you ever test boot the Rescue Media device you're trying to use right now? Hi, yes it looks like it starts some sort of Windows installation process (there's an option to Install and also Repair). I did exactly the process you describe, F12 continually until it gets into the boot menu, then skip down the list of boot devices, selecting the USB stick. That jumps into the Windows installation as I describe, perhaps my Macrium rescue disk has been overwritten by something else, though it's clearly marked as such.. Regarding another rescue usb created with Macrium, the one created by my desktop/AllInOne does not boot correctly on the laptop, it makes it Bluescreen. I may do a Windows reset on the laptop (shift-Restart gets you into the menu for this), install macrium, create another rescue usb and try restoring after that. An option to install or repair? That sounds like Windows installation media, not Reflect Rescue Media. If the label you're referring to is just what you see in Windows, it's possible that it was originally Rescue Media and then the files were replaced with something else but the label was left alone. - Open the Create Rescue Media wizard. - On the first step, click "Change PE Version" and select WinPE 10. - Proceed through the wizard. At some point you'll need to download a large WinPE file from Microsoft. - On the last step, make sure the option to make the flash drive bootable for both BIOS and UEFI systems is checked. That should give you Rescue Media that works on your XPS. If not, then the likely culprit is that a driver intended for that PC that gets added to its Rescue Media builds is creating a problem when used on your XPS, in which case yes a clean Windows installation on the XPS so that you can install Reflect and generate new Rescue Media should certainly work, although it will probably take a lot more time. That should give you Rescue Media that works on your XPS. If not, then the likely culprit is that a driver added to Rescue Media builds created on that other PC is creating a problem with the XPS, in which case yes a clean Windows installation on the XPS so that you can install Reflect and generate new Rescue Media should certainly work, although it will probably take a lot more time. I went through exactly those steps to create another Macrium rescue usb, and just did it over the usb stick which was giving me the windows screen. Can you post a picture of where you're ending up, just by taking a picture with a smartphone or something? My guess is that what's happening is that the system is looking at the flash drive, not finding a bootable environment (again, could be the flash drive hardware) and then proceeding to something else, perhaps a recovery environment on some other partition on your hard drive. And just to be sure, you don't have any other USB devices connected to the system through hubs, docks, etc. while you're doing this, right? Also, may as well post a picture of your F12 menu showing the USB device you're selecting. That is a general Windows Recovery environment. In that case, just in case that general recovery environment does in fact reside on your flash drive somehow, try manually deleting everything on that flash drive before going into Reflect and running the Rescue Media wizard again. If you still end up there, it means that environment is loading from your hard drive, in which case do you have another flash drive to test with? And just to be certain, you're building your Rescue Media by going into Reflect and going to Other Tasks > Create Rescue Media, correct? The reason I ask is that you can get a flash drive that boots the way you're seeing by going to Control Panel > Recovery > Create a recovery drive and using that built-in Windows wizard. One more admittedly long shot idea if nothing comes from my previous post: Is the other PC where you built the Rescue Media running third-party anti-virus? The reason I ask is because there are threads here where it has been found to interfere with the Rescue Media build process, although that's admittedly normally apparent from error messages. But the Rescue Media wizard works by starting with a standard Boot.wim file downloaded from Microsoft, which contains a standard Windows PE environment -- exactly the one you're seeing. During the Rescue Media build process, Reflect mounts that file in the background and adds its own application files to it, as well as any drivers appropriate for the system where it's being built, so that when you boot from that media, you see the Reflect application rather than what you're seeing. But since anti-virus sometimes interferes with that mount and modification activity, I'm wondering if somehow yours might be silently blocking Reflect from making any modifications at all to the standard Boot.wim file, in which case you could end up with a standard Boot.wim file on your flash drive and therefore end up seeing that standard Windows Recovery environment even if your system is in fact booting from your flash drive.